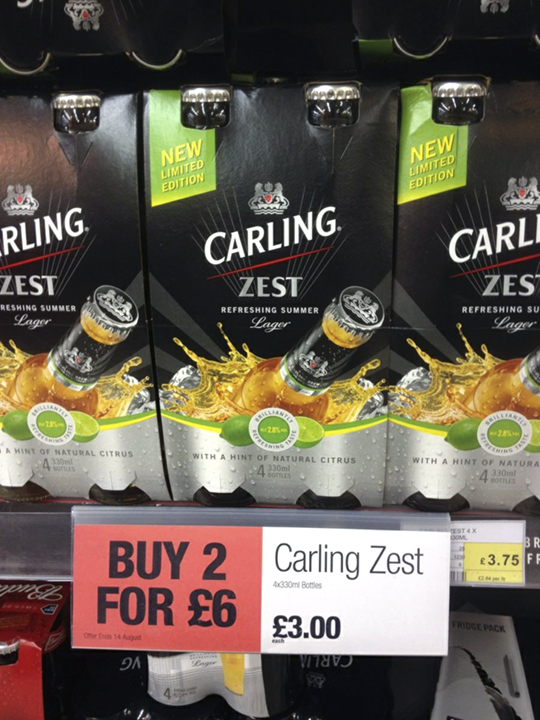 This bargain of the week was snapped by Tom L in Machynlleth's Coop. Does anyone know the thinking behind this sort of offer? OK. Maybe there's no thinking involved. But does anyone know whether sales do actually increase? Or is it just a lemon? Is the answer on the other price that's on the edge of the shelf itself, tucked behind the 'wobbler' (if that's what they're still called)? Looks like the proper price for four bottles is £3.75 rather than £3, so the mistake is a typo on the wobbler, rather than just a ridiculous pricing strategy.